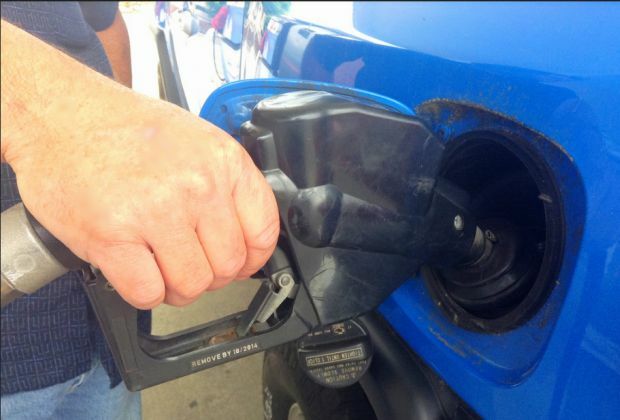 Gas prices in Northern West Virginia have increased by five cents over the week to $2.868 per gallon, according to AAA East Central’s Gas Price Report. Gasoline prices are up across the Mid-Atlantic and Northeast region on the week, while stable in some states. On average, prices across West Virginia are about three cents higher over the week. Following last week’s 1.2 million barrel build, the region saw the largest drop of any region in the country at 1.6 million this week according to Energy Information Administration (EIA) data. The Mid-Atlantic and Northeast region inventory level now measures 65.5 million, the lowest level recorded in the region in the month of June and a potential factor driving prices this week. The national gas price average is $2.87, which is a penny more expensive on the week. Pump prices in nearly 30 states are seeing a jump of as much as eight cents, a dozen states saw prices drop and another dozen states’ gas price averages remain stable from last Monday. Demand for gasoline this summer remains very strong week-over-week, driving gas prices higher in some areas alongside rising crude prices. At the close of Friday’s formal trading session on the NYMEX, West Texas Intermediate increased 86 cents to settle at $73.80. Crude prices trended lower last week following EIA’s report that showed U.S. crude oil inventories increased by a total of 1.3 million barrels. It was the first time in three weeks that the U.S. has seen a build in inventories, which typically sees drawdowns throughout the summer. At 417.9 million barrels, crude inventories in the U.S. are 85 million lower than they were at this time last year. The surprise build in total crude stocks gave market observers pause amid a slew of other factors influencing the oil market, including increasing geopolitical factors – in Iran, Libya, and Venezuela – potentially destabilizing global supply. Moving into this week, market observers will watch these factors to determine their impact on supply. If it appears that supply could be reduced amid high global crude demand, oil prices may increase.